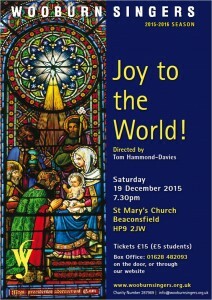 Christmas Concert 2015 – Joy to the World! Tickets available now. Book early to avoid disappointment!